If you haven’t made the trip to Alameda, CA to visit the Pacific Pinball Museum, you need to. 90+ games on free play, beautiful artwork, signage and knowledgeable folks to teach you history of American Pinball, and a great vibe. There was a Mad Men themed birthday party in one of the rooms you can rent — everyone was turned out beautifully. Michael is working with me on putting together a super finale for Pinball Donut Girl: I am going to film those scenes with his machines. I’m thinking the featured machine for the finale should be Fun House. What do you think? I’ll make a poll and you guys can help me decide. 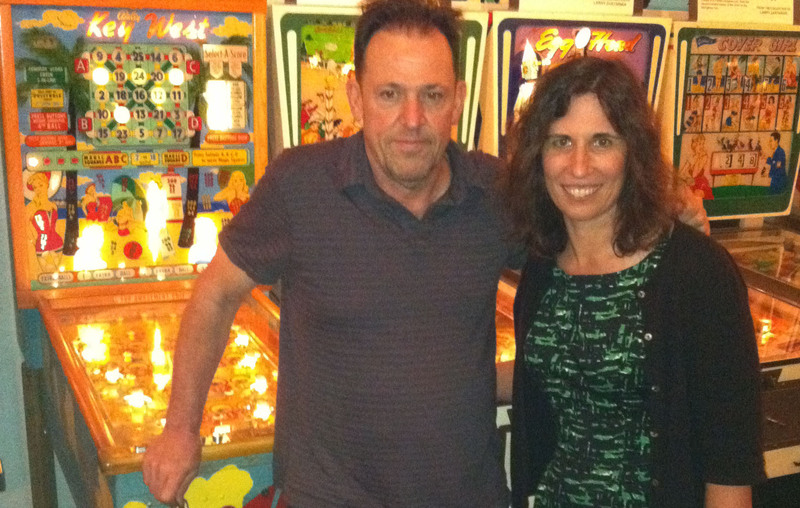 This entry was posted in Pinball People, Vintage Pinball and tagged alameda, art, michael scheiss, pacific pinball expo, pacific pinball museum, pinball, vintage, visible pinball by Anna Newman. Bookmark the permalink.